My team and I are beyond thrilled to tell you about my new EmpowerU Master Class that will help you to find Inspiration, Empowerment, and Balance. This course is based on the research behind my International Best-Selling Trilogy Common Threads and my teaching style that earned me tenure and the title of “Super Professor” from a decade of doctoral level university teaching. Registration for the spring session is now open! If you ever wanted work with me and my team to make your dreams come to fruition without being overwhelmed, this will be your chance. This will include proven resources and tools that you will be able to use right away to envision your future and save you time and money searching for or creating them from scratch. Don’t reinvent the wheel…reinvent yourself. Your questions will be answered live in a group setting. If you want a friend to lead the way in your personal and business growth, that is what we are here for! Of course, you feel tragically busy at times…you do so much, for so many. We provide a 1-on-1 Skype or phone call to get you settled into your course while we guide you through the process. During the 1-on-1 Skype or phone call, you can determine how far you came through the course you can talk through further growth that you want to occur and celebrate your successes! Hi! 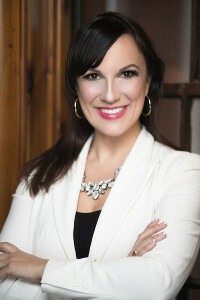 I am Dr. Shellie Hipsky, CEO of Inspiring Lives International, editor-in-chief of Inspiring Lives Magazine, and president of the non-profit the Global Sisterhood. My team and I are beyond thrilled to tell you about my new EmpowerU Master Class that will help you find Inspiration, Empowerment, and Balance. This course is based on the research behind my international best-selling trilogy Common Threads and my teaching style that earned me tenure and the title of “Super Professor” from a decade of doctoral-level university teaching. If you ever wanted to work with me and my team in person, to make your dreams come to fruition without being overwhelmed, THIS is your opportunity! But, today I want to give you a FREE gift! Sign up below to receive my special Action Plan Activator to get you on your way to creating the life of your dreams. Only you can determine what that looks and feels like for you, and I can’t wait to have you join our EmpowerU Master Class so I can guide you toward your goals! I have been able to inspire, educate, and entertain through my 11 published books including the international Best Selling TrilogyCommon Threads,my television show Inspiring LIves with Dr. Shellie, Empowering Women Radio, and I am the proud Editor-in-Chief of Inspiring Lives Magazine. As an international speaker who was a tenured professor at Robert Morris University for a decade, I have had the opportunity to keynote hundreds of conferences and lead workshops including at the University of Oxford in England and the United Way Powerful Connections for Women. As the Executive Director of the non-profit 501 (c) (3) the Global Sisterhood, I guide and support women and girls internationally. And due to my charitable works from the US to Pakistan, The Association for Women Empowerment is naming their new learning space in Uganda, Africa the “Dr. Shellie Hipsky Empowerment Centre”. I am so delighted to teach women internationally through EmpowerU! No longer being in a traditional university classroom means that I can continue to make my own dream of being there for my family of two beautiful active children and my husband a reality. Meanwhile, I juggle being a CEO of a company (Inspiring Lives International), Editor-in-Chief of Inspiring Lives Magazine, publishing best-selling books, speaking internationally, and serving others as the President of the Global Sisterhood network and charity. I know that I have what it takes to teach you how to steer your life in the right direction so that you too can find inspiration, empowerment, and life balance in your life! Together, let’s EmpowerU! Get your FREE Action Plan Activator! Begin your journey toward inspiration, empowerment, and balance TODAY. Download your Action Plan Activator and embark on the route to your fabulous future. Only you know what you truly desire out of life professionally and personally. Seeing it all in black and white is the first step toward achieving your goals. So download the Action Plan Activator, print it out, pour a glass of wine or a cup of tea…and start down the path toward a bright tomorrow. I challenge you to examine what you really want out of life so you can make it happen. ✅ If you are ready to be empowered to live your best life as the leveled up version of yourself! According to research, only 3% of adults write down their goals, and this could attribute to why their goals remain dreams. Use your FREE Action Plan Activator from EmpowerU, today! Once you subscribe, Dr. Shellie will email your FREE Activator to your inbox! Shellie and I have known each other for over seven years and have worked on many fundraisers together for Pittsburgh-area charities and organizations. In every adventure we have together, Shellie always shows her love and support for women and girls across the globe. Her passion is to give every woman the opportunity to thrive and follow their dreams, be anything their hearts can imagine, and find sisterly love and support along their journey. She is a wonderful example of how one person can help inspire the world! Dr. Shellie Hipsky and I worked together on her international best-selling book trilogy Common Threads. I was on retreat with her in California when she had the realization that it was time to move from her tenured university professor position to live out her entrepreneurial dreams. Dr. Shellie has not only become one of the world’s best CEOs with Inspiring Lives, but the teacher inside her continue to show others their own paths to success! The EmpowerU Master Class can teach you how to make your life dreams come true. Stay In Touch With Dr. Shellie!